New year, new “ARE” from our buddy Kenichi Hariken Hariu! 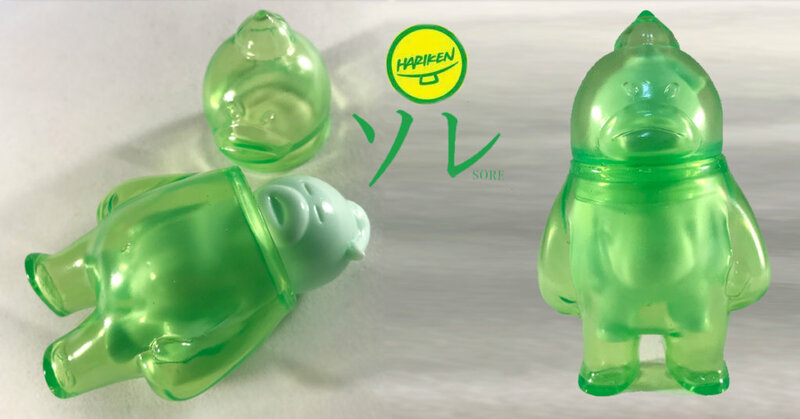 No need for botox with these “ARE HARIKEN! We have a couple of these little chaps in our own collection and still gives us a kick as they remind us of our own juicy lips, just kidding. But look closer its double the sofubi magic as you get a “ARE in SORE”, talk about double dose.